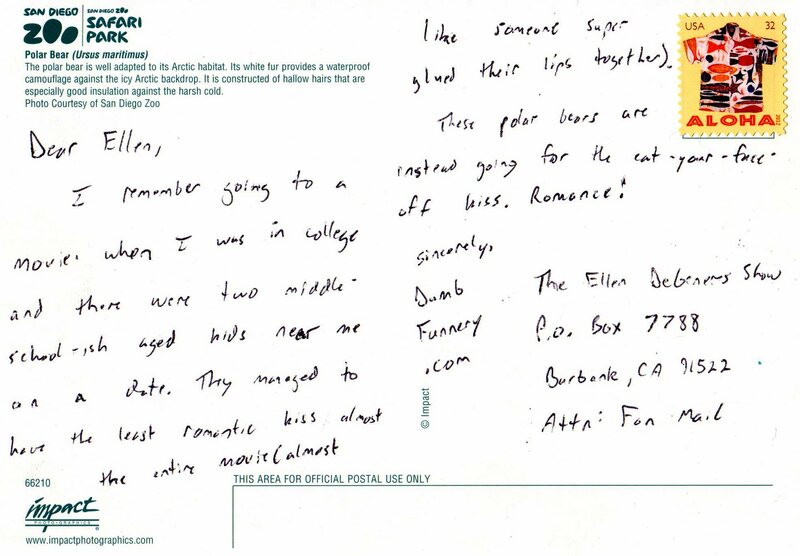 I remember going to a movie when I was in college and there were two middle-school-ish aged kids near me on a date. They managed to have the least romantic kiss almost the entire movie (almost like someone super glued their lips together). 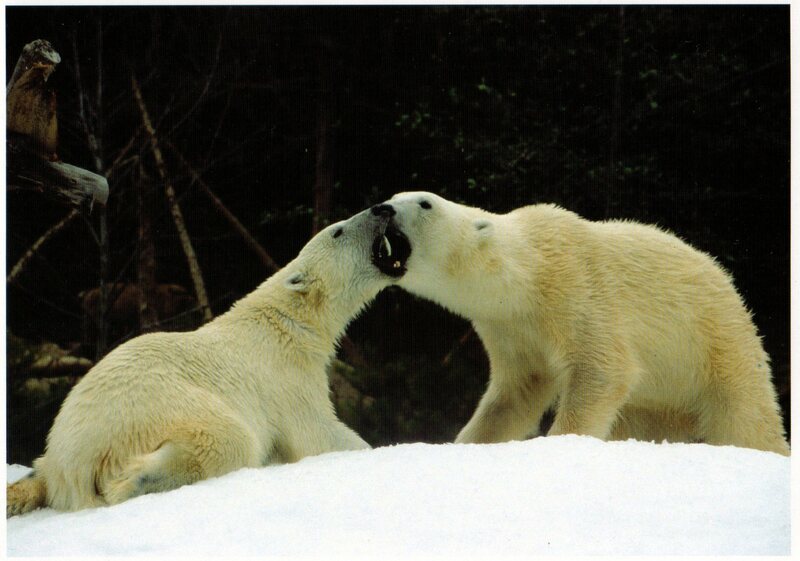 These polar bears are instead going for the eat-your-face-off kiss. Romance!